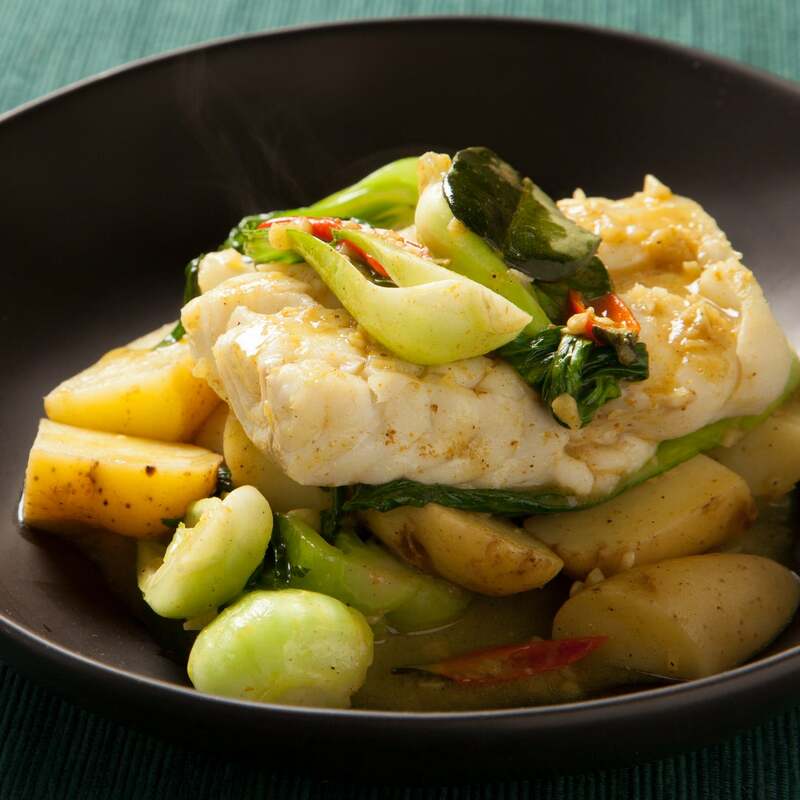 Kaffir lime is an important aromatic component of many Southeast Asian dishes. The bumpy rind of the fruit is used to make Thai and Lao curry pastes. The more common dark green leaves are often steeped in a liquid like coconut milk to impart a fragrant, herbal citrus flavor. 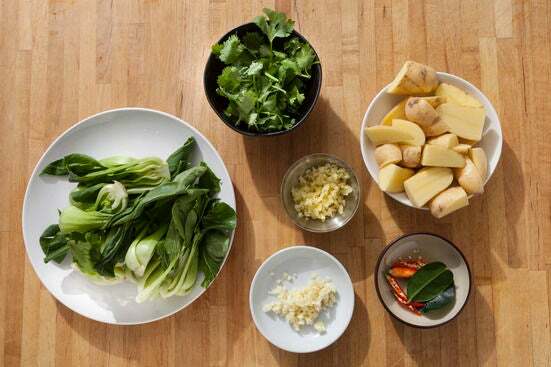 Typically the leaves are left whole, but in certain dishes, they can be sliced very thinly and eaten. 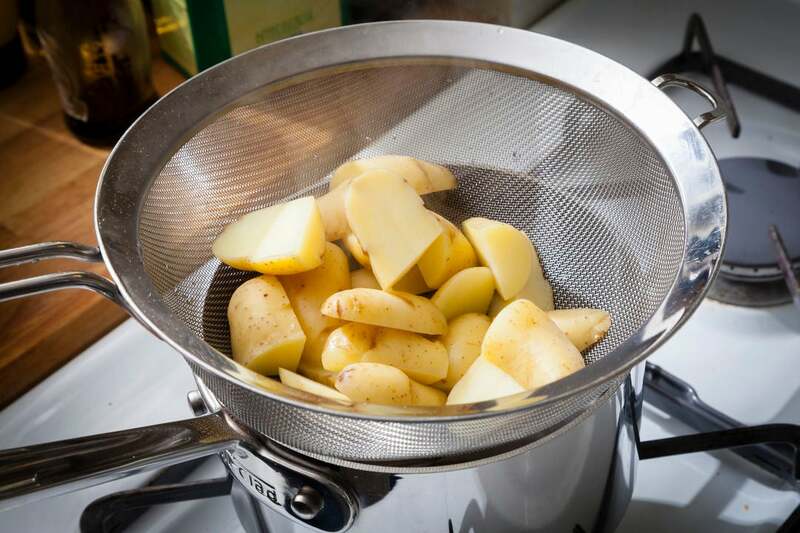 When the water comes to a boil, add the potatoes. Boil 6 to 8 minutes, or until tender when pierced with a fork. Drain and set aside. While the potatoes boil, in a large pan, heat some olive oil on medium until hot. Add the garlic, ginger, birdseye chilis, and kaffir lime leaf. Cook 1 minute, stirring. 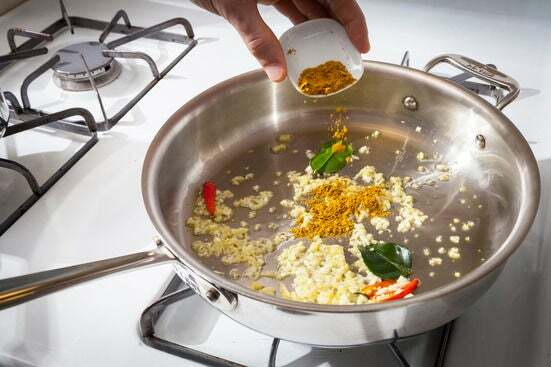 Stir in the curry powder and cook about 30 seconds. Stir in the coconut milk, using a whisk or spoon to scrape up any curry powder on the bottom of the pan. 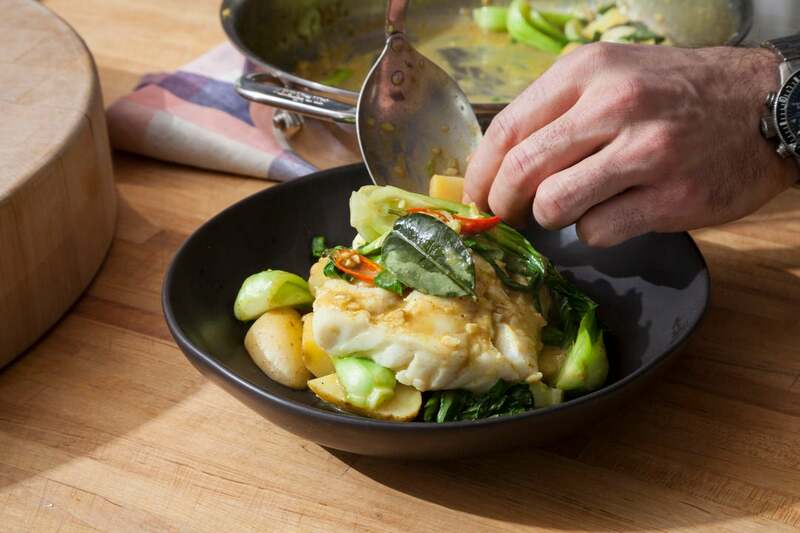 Allow the coconut milk to come to a simmer, then add the fish. Cook 3 to 5 minutes per side, or until cooked through. 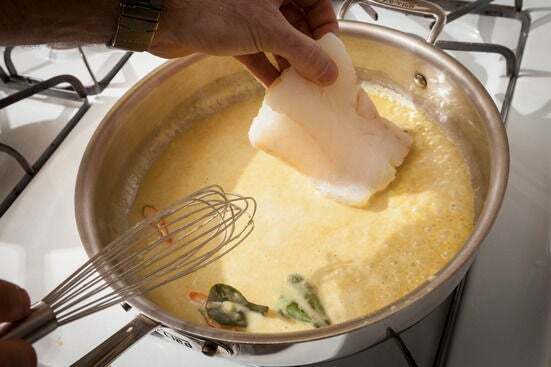 Gently transfer the cooked fish to a plate. 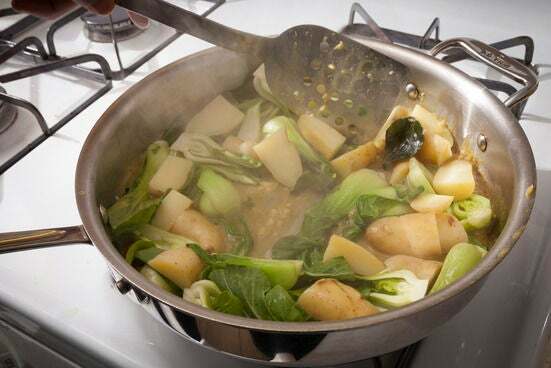 Add the drained potatoes and bok choy, and cook about 3 minutes or until the bok choys wilt, stirring to coat everything in the curry. 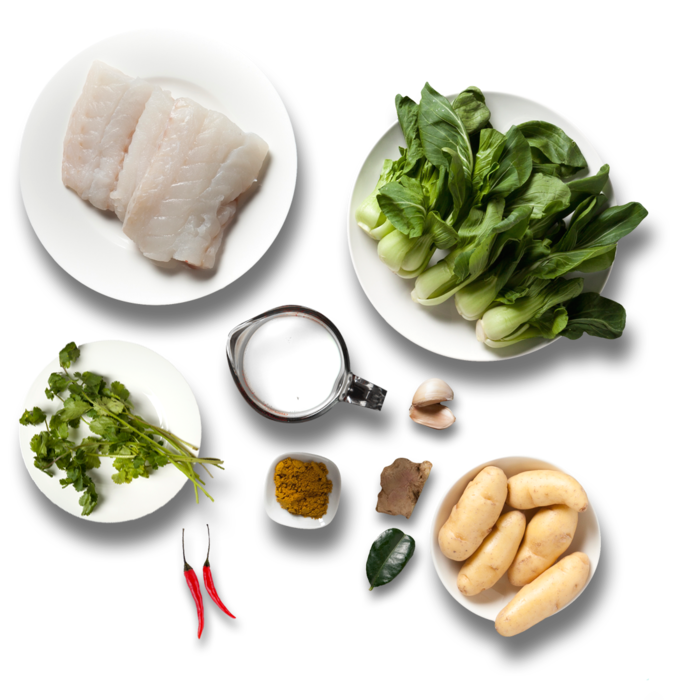 Place a piece of fish on each of 2 dishes. Serve each with half the bok choy and potato curry. Use the kaffir lime leaf and birdseye chilis for garnish, if you like. Top each dish with the cilantro. Enjoy!